I recently read one of those articles debating whether a million dollars was enough to retire on these days. 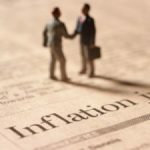 Mostly, the focus of the article was on the fact that a million dollars isn’t as significant as it used to be due to the impact of inflation. That’s a good point, but it also got me thinking that the size of your nest egg is just one side of the retirement equation. First, to quickly illustrate the inflation issue, consumer prices have roughly doubled over the past 26 years. That means that a million dollars is worth about what $500, 000 was in 1988. To think of this on a forward-looking basis, suppose that inflation continues at a similar rate, which has been pretty moderate compared to longer-term history. If you are around 40 years old today and think you could live on a million in today’s dollars, then you had better count on saving two million because that will have the equivalent purchasing power by the time you reach retirement. 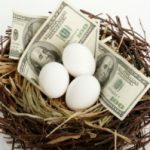 The deceptive thing about the size of a retirement nest egg is that the numbers always sound more lavish than they actually are. Between the erosive effects of inflation and the number of years over which savings have to last, it takes a bigger nest egg than most people intuitively expect to fund a comfortable retirement. But again, as challenging as that is, the size of the nest egg is only one side of the equation. Your mortgage. Your home may be your biggest single asset, but it may be offset by a liability in the form of a mortgage. 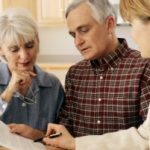 While some people steadily pay down that liability so it will be gone by the time they retire, others continually renew the liability by borrowing against home equity. This makes a big difference in how big a nest egg you will need. If your mortgage is paid off, you will have much lower monthly costs and an asset you can sell at some point. If you still owe on your mortgage, it will probably continue to be your largest monthly expense. Other debt. It’s important to think of your nest egg on a net basis, where its value is offset by whatever you owe. So, if you have accumulated a significant amount of debt, your nest egg may be smaller than it appears. If it’s credit-card debt, that’s even worse than offsetting because you are probably paying more in credit-card interest than you are earning on your retirement savings. Where you live. Cost of living varies widely from one part of the country to another, so if you plan to live somewhere expensive, think of this as a form of “instant inflation” that will immediately reduce the purchasing power of your nest egg. Lifestyle. What kind of retirement do you envision? Is it a quiet one of reading good books and working in the garden? In that case, a million dollars could still go a long way. On the other hand, if you plan to travel extensively and live it up, you could burn through that million long before you die. Retirement planning should include some rudimentary budgeting based on the lifestyle you plan to lead so you know how far your money has to stretch. Social Security projections. Unless you are one of the ever-shrinking number of employees who still has a defined benefit pension, Social Security may be the only regular income stream you have in retirement. The size of that income stream goes a long way to determining how quickly you will spend down your nest egg. You can get a projection of what your benefits will be from the Social Security Administration, based on how long you worked and how much you earned. Getting these projections for yourself and your spouse will help you know how much of your remaining budget your nest egg will have to cover. Work prospects. 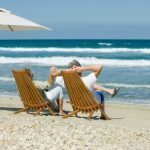 More and more people are augmenting their nest eggs by continuing to work in retirement, but whether or not this is a viable option depends on your health and the marketability of your job skills. The point is, there is no universal answer to a question like “is a million dollars enough to retire on?” A million dollars may be plenty for some people, and not close to enough for others. It’s not all a question of how rich you want to be, but also of how well you’ve contained the liabilities that are going to offset that million dollars. So, if you want to make sure your retirement savings are sufficient, don’t just go by general benchmarks. You need to do some detailed planning to determine how big a nest egg will meet your specific needs.